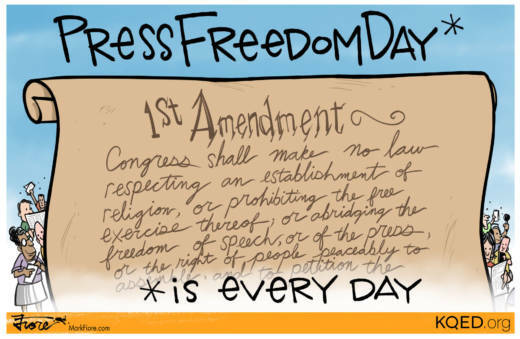 More than 300 news outlets across the country joined together to defend press freedoms and criticize President Trump's attacks on journalists. The president has referred to the news media as the "enemy of the people" seven times since June. Members of The Boston Globe initiated the idea of publishing coordinated editorials on the same day. In a morning tweet, Trump accused the Globe of being "in COLLUSION with other papers on free press."